Stainless Steel Flexible Conduit System is particularly suitable for corrosive environments wirings, and the flexible design means it is ideal for constantly vibrating or flexing applications. The Delikon small bore Stainless Steel Conduit System further enhances the metallic flexible conduit ranges with the benefits of stainless steel. They are most suitable for protecting fibre optics cables. 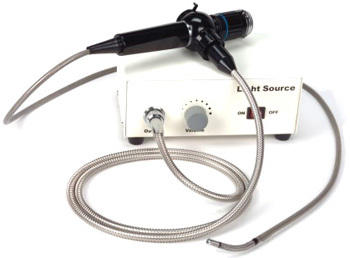 Suitable for use in Industrial environments. Protection for stainless tubes, sensor cords or electric cords. It is designed to protect sensitive electronic circuits in applications such as sensors, CCTV circuits, electronic instruments and industrial control wirings. Most suitable for conveying machineries coolant. 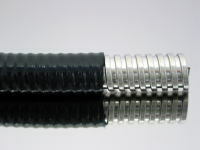 Braided PTFE Hose for carrying industry or Automobile fluids. Over Braided Flexible Metal Conduit or protection of Offshore and Petrochemical industry wirings. Small ID flexible metallic conduit used for Flexible Fiber Optic Scope wirings. PACKING is available for large quantity orders. InterLok metal strip and the edges of the strip are completely interlocked with each other. This offers increased crush protection, and higher axial strength. * Maximum size we could produce= 6"(about 150mm). For bigger sizes or custom sizes order, please send us your detailed requirement. Download the catalog page for Delikon AT-Braided Series Over Braided Small Bore Stainless Steel Flexible Conduit in PDF File format. for use in hazardous Locations, industrial environments and Vehicle wiring harness. High tensile strength metal wires are tightly braided onto the AT-SL small bore flexible metal tubing for optimum protection. 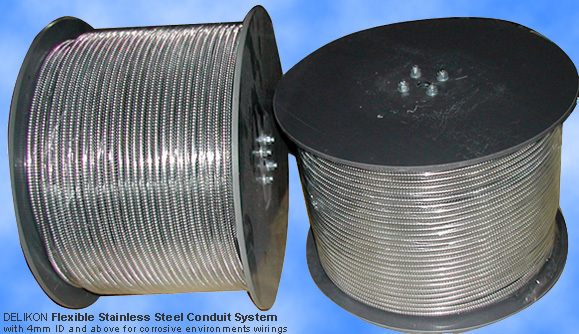 Over Braided Flexible Stainless Steel Conduit provides increased abrasion & corrosion resistant, improved EMI screening, and resists hot metal splashes. 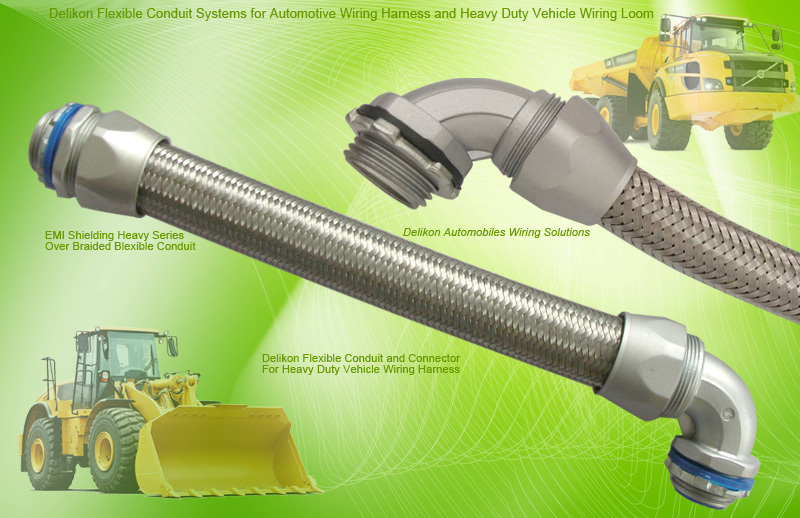 Delikon manufactures the industry best OEM and universal flexible cable conduit wiring systems for Automobiles. Wiring Harness handles the complete current flow across all the components of a vehicle including its lights, wipers, electrical devices and other electronic components. Increase in demand for high end electronic and safety features in vehicles, along with cost reduction and enhanced reliability, is leading to rise in demand for automotive wiring harnesses globally. The Delikon wiring harness flexible conduit system facilitates safe, reliable, compact and simple functioning of the electronic devices installed in the automobile. Delikon offers a wide variety of flexible conduit and fittings to help you with your Automotive Wiring Harness project, like coated flexible metal conduit, liquid tight conduit, flexible stainless steel conduit, EMI Shielding heavy series over braided flexible conduit, liquid tight connector, and heavy series conduit fittings. Overbraided flexible metal conduit systems are ideal for use in high temperature industry applications with sparks, weld slag or hot swarf. Over braided flexible metal conduit are also suitable for screening electromagnetic radiation. Delikon manufactures a range of petrochemical, high-specification electrical flexible conduit systems covering many specialist applications, for industries as diverse as healthcare, offshore, mining and food and drink. Flexible Conduits made by Delikon is specified for plant rooms, machinery and machine tools, security systems, marine and offshore installations, railways, oil and gas installations, hospitals and more.